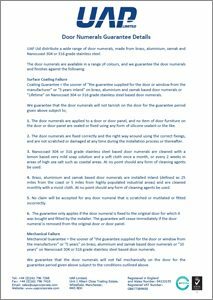 Front door numbers and letters are becoming more and more common on doors, and are essential to make properties stand out so they can be found easier. There is currently a big push by the emergency services for consumers to install a front door number on their homes, so they can find a house quickly in an emergency. 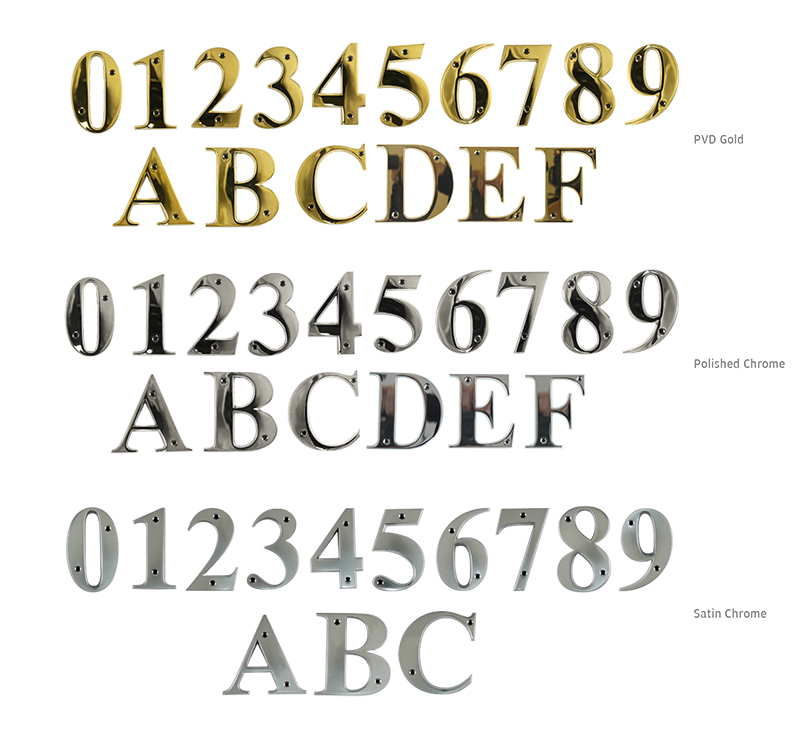 The UAP Signature screw fix front door numbers and letters are 3 inches in height, and are designed in the classic Times Roman font. They are extremely easy to fit, and each comes complete with colour matched screws for perfect co-ordination on the door. 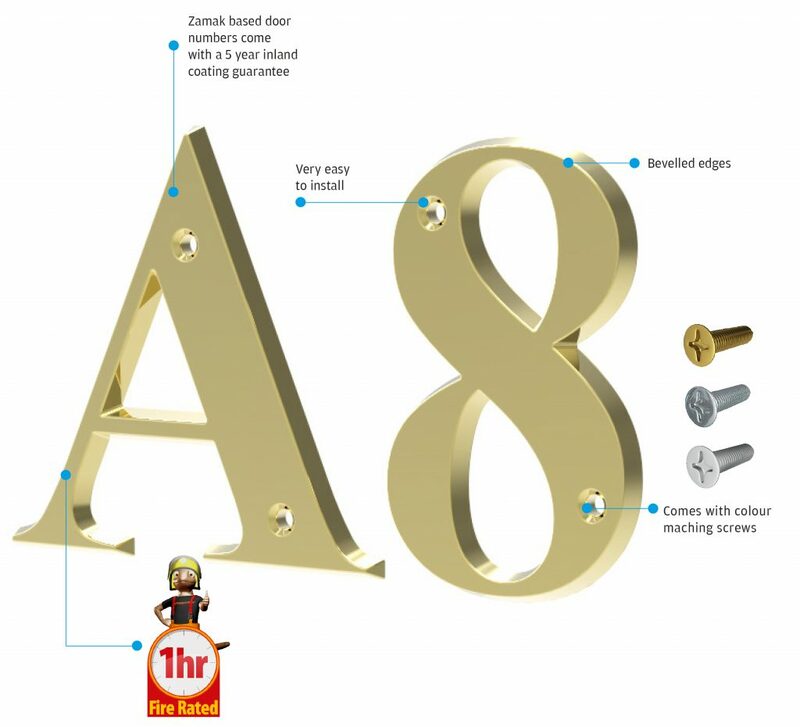 There are 3 finishes in total, each in complete set of door numbers 0 – 9 and door letters A-C. PVD Gold, polished chrome and satin chrome door numbers and letters are made from zamak, and come with a 5 year inland guarantee. 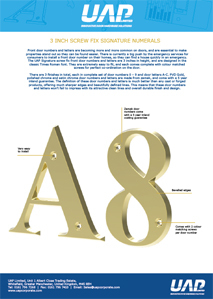 The definition of these door numbers and letters is much better than any cast or forged products, offering much sharper edges and beautifully defined lines. 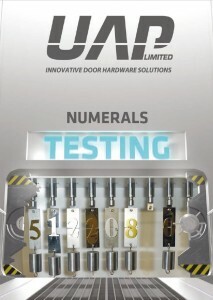 This means that these door numbers and letters won’t fail to impress with its attractive clean lines and overall durable finish and design.